Only processing a few sales, or low volumes? Dharma typically works best at volume levels of at least a few thousand dollars per month. If you’re processing less, we often suggest an “all inclusive” alternative. PayPal can be perfect for new online businesses. There are no monthly fees, and setting up an account is easy. Usually, their pricing model makes less sense once you have a dedicated customer base, and when you demand a full-service shopping cart. But for brand new businesses, PayPal makes things really easy to get setup with limited fees. Read more here. Square is a great in-person alternative for merchants who are willing to process through a smartphone. Although their rates are typically higher than Dharma’s for existing, established merchants – newer, small-volume merchants will find ease in their simple pricing model and easy startup. Dharma often refers merchants to Square while getting their feet wet with credit card processing, so that you can later “graduate” to a full-service merchant account. 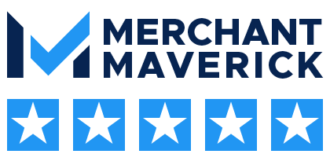 Sometimes, you’ll just need a full-service merchant account, even if your monthly volume is a few thousand dollars per month. As long as you’re aware of Dharma’s monthly fees and needs for a new account (read about who we work best with here, our documentation requirements here and typical account setup time-frames here), then we’re happy to sign you up! We just like to be clear and straight-forward about who we work best with, and when our services make sense.